My recently completed pinhole camera is built around an old Hasselblad manual film magazine (the one with the rear window and independent wind mechanism). I wanted an ultra wide camera which would use 120 film. A sample of the results may be seen posted on the black and white pinhole image section! They're well engineered and a pleasure to wind. Excellent, very nice looking conversion. Great work! 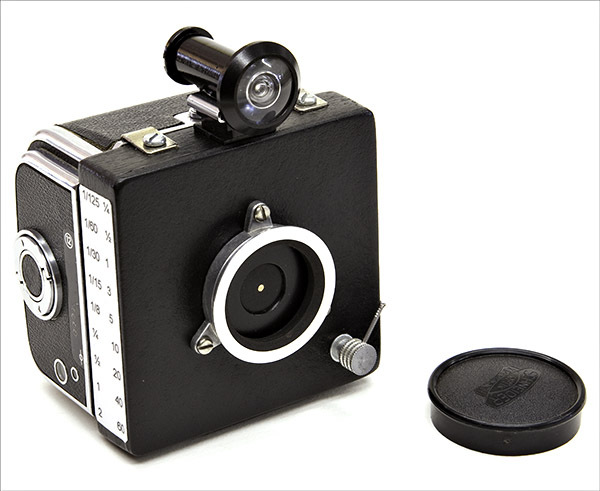 That is one elegant pinhole camera! That is just absolutely cool! When I was growing up we had a family friend who had a 'blad SWC he used all the time. I don't think he ever did any pinhole but he would have loved this camera. She's a beauty. Excellent results too. I love the shutter, I'm assuming you twist the knob bottom right to swing the shutter in/out? Elegant, professionally looking, surely pleasure to use.